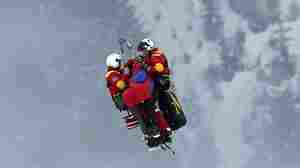 February 5, 2013  The American skier was taken by helicopter to a nearby hospital for treatment. February 18, 2010  Every two years, the complaint comes: Please don't ruin the Olympics by airing the results before we can watch the event on TV. But it's important to remember that NPR is, first and foremost, a news organization.